From the company that brought SeaLife to Michigan, comes the latest kid friendly highly anticipated destination vacation spot on the west side of the state. Less than two months ago, SeaLife Aquarium opened in Great Lakes Crossing Outlets in Auburn Hills. SeaLife is now the largest aquarium in the state of Michigan and seeing high demand from visitors around the state. To make Great Lakes Crossing and Auburn Hills an even bigger destination for families, the mall owner announced its intention to bring the popular Legoland brand to the state in the spring of 2016. Great Lakes Crossing Outlets announced the planned opening of Legoland Discovery Center in the spring of 2016. The new park based on the popular brick building toy will be located adjacent to the food court in the mall, near entrance 6. 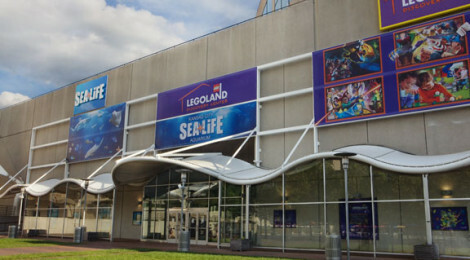 This puts the new Legoland in close proximity to the recently opened SeaLife Michigan. A Merlin representative had this to say in the release, “Great Lakes Crossing Outlets is the ideal location for the attraction as the mall is already a favored destination for Michigan families and tourists from the region.” Remember that Great Lakes is the largest outlet mall in the state. 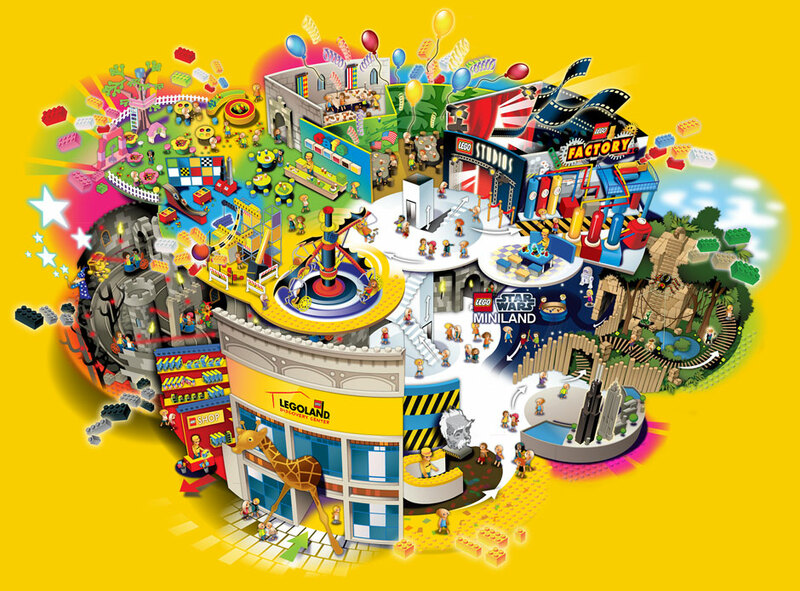 Legoland Discovery Center is the newer of the Legoland brand and promises a fun, highly interactive, educational two to three hour visit specifically designed for children 3-10. 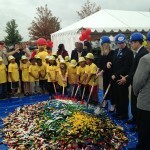 This marks the eighth Legoland Discovery Center in the United States. Similar to SeaLife, Legoland locations also have special rooms for birthday parties and offer group rates. 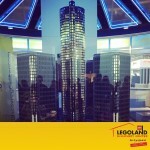 One cool feature at Legoland Discovery Centers is the Miniland. This portion of the attraction is different in each location. Miniland hosts replicas of buildings and popular landmarks from the local economy. The local community (probably Detroit and the suburbs) will have a chance to vote on which buildings and landmarks will be featured in the Great Lakes Crossing Outlets Miniland. The Chicago Lego Miniland contains replicas of Navy Pier, Willis Tower, Buckingham Fountain, and the Wrigley Building. More than 2 million Legos are used in this Miniland area. In Kansas City, the Miniland area not only includes replicas of popular building in the area, but also a replica of pieces from the movie “The Wizard of Oz”. Legoland is a unit of Merlin Entertainment, the second largest attraction operator in the world and number one attraction operator in Europe. The company has more than 100 attractions in 23 countries around the world. 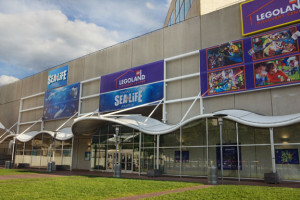 Merlin’s brands include SeaLife, Madame Tussauds, Legoland, and Legoland Discovery Centers. While we’re on the subject of Merlin Entertainment, let’s talk about possible pricing scenarios. Merlin offers an annual pass, which offers unlimited admission to most of its United States destinations. 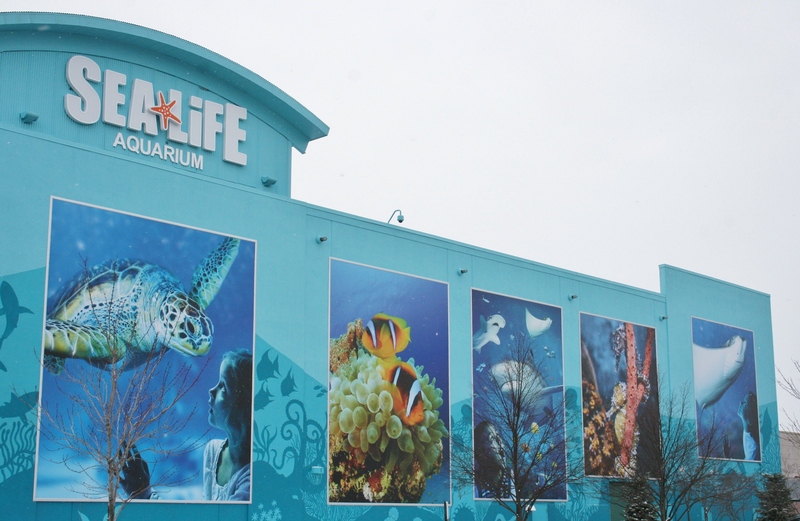 I say most, because currently the new SeaLife in Auburn Hills is not on the list, most likely because it is new and seeing high visitor demand. I believe it will eventually make the list, as will Legoland Michigan as well. This Merlin annual pass costs $269 a person for a full year. Pricing for SeaLife in Great Lakes Crossing is actually higher than several others in the area. I predicted in one of my earlier articles that the pricing will eventually come down. This is getting harder to see happening when tickets sell out for every weekend. While the price may not come down, visitors to the area may see good value in annual passes or combo movie tickets to Legoland and SeaLife, assuming they are offered. The two nearest Legoland locations in the Midwest are in Schaumburg, a suburb of Chicago, and Kansas City. Here is a look at pricing for those locations. 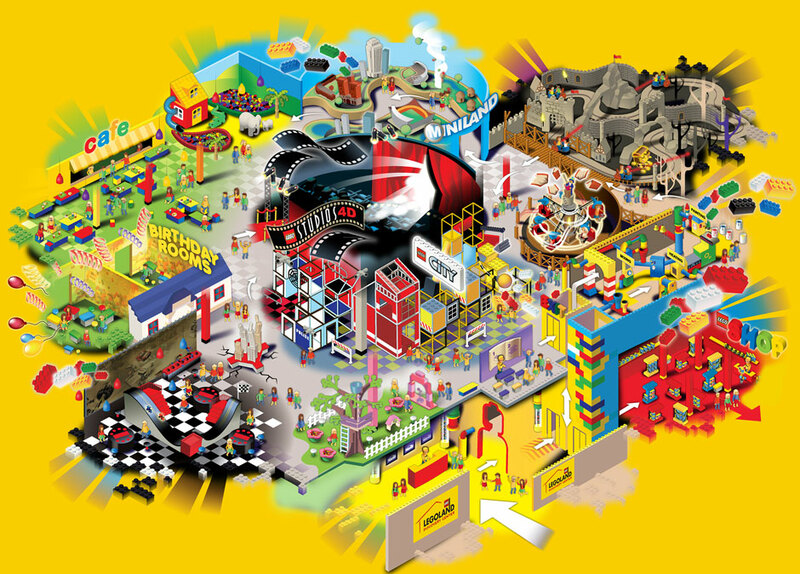 Legoland Chicago: $13.50 adults online, $18.00 in person, $40 annual pass per person. All children two and under are free. 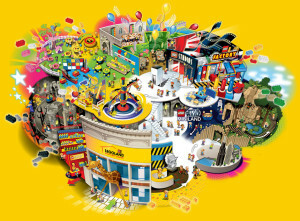 Legoland Kansas City: $16.50 online, $18.00 in person, children under 2 free. Adults: $15 online, $19 in person for weekdays and $16 online, $19 in person for weekend. 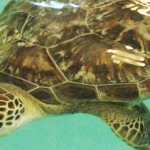 Annual passes of just SeaLife are $55 for individuals and $210 for a family of four ($50 extra per member). Obviously you can calculate out the big savings by getting an annual membership to both locations, especially since they are under the same roof. I believe Great Lakes Crossing should and will offer these combo tickets eventually. I just can’t see them offering them right away due to demand and also think they will come in higher. Consider that SeaLife prices in Michigan are already $21.15 online and $23.50 in person for adults. That is a little bit higher than the Kansas City location, which I think ultimately stems from initial demand. Each Legoland theme park has a 4D movie theater that shows Lego themed movies. There are currently two 15 minute Lego movies that are shown in Legoland parks across the nation. Each admission ticket includes unlimited entry to the movie theatre, giving visitors a chance to see each movie. To make matters even more exciting, Legoland partnered with Time Warner to get an exclusive early premiere of a new 4D animated movie based on Emmet and Wyldstyle, two of the main characters from the worldwide blockbuster hit “The Lego Movie”. Leogland locations also have rides that resemble mini roller coasters you would find at a local fair. In Chicago and Kansas City, the rides are called “Merlin’s Apprentice Ride” and “Kingdom Quest Laser Ride”. The latter sounds pretty exciting as it is like a traveling game of laser tag where you try to earn points with a laser sword while on the ride. Children need to be 36 inches to ride with an adult or 48 inches if riding alone. The popularity of Lego continues to grow every year, with high demand coming now for the toys after a strong box office showing of “The Lego Movie”. Time Warner has plans to bring at least three more Lego themed movies to the big screen. “Lego Ninjango” will open in theatres on September 23, 2016, while “Lego Batman” and “Lego Movie Sequel” are scheduled for 2017 and 2018 respectively. 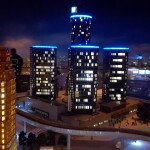 Want more coverage on the SeaLife Aquarium in Michigan? Be sure to check out our review from the early media preview event. Also check out our gallery of pictures from our visit. It’s never too early to plan a vacation to Great Lakes Crossing in 2016 to hit both SeaLife and Legoland. Be sure to check out these other recommended nearby kid friendly locations.